In theory all you need to do is switch off your computer, stop working and take a break. Relaxing should be as easy as clicking that shutdown button but it never seems to be. Just look at the statistics showing how divorce rates increase over the festive season for proof that even holidays can be fraught with stress. While holidays are about spending time with your loved ones, no matter how much you love your family, a little time away from them often makes you love them even more. Yet sometimes that me time we all crave can be hard to fit in what with family obligations, work and all those endless to do lists. If this sounds like you then you’re probably in need of some time out and true relaxation more than anyone else. When I say relaxation we’re not talking about reading a book on the sofa while the kids run round screaming, slamming doors and trashing the house. We’re not talking about getting up at 5.30 am so you can fit in your exercise before the morning hell hour. We’re not talking about attempting to mediate while both your phones beep and ring in the background. What we’re talking about is some serious time out with no distractions at all, whether you’re on holiday or not. While real relaxation can be elusive it is possible and I found it at The Spa at the Hyatt Regency in Coolum when they kindly invited me for a morning of pampering. These are the five very best things about The Spa experience. Situated in 150 hectares of lush Sunshine Coast bush between a white sand beach and stunning Mt Coolum, Hyatt Regency Coolum is one of Australia’s most celebrated luxury resorts. Even the Queen has visited and if it’s good enough for her, it’s good enough for me. Just driving through the entrance past the beautiful lily ponds made me feel more serene. The whole spa complex oozes luxury and has been cleverly designed to draw the surrounding native bushland into the total wellness experience. There are separate wings for men and women and, although this is the biggest spa in Australia, the spaces feel intimate and peaceful. My treatment room had its very own a private Japanese-style garden with a darling little geisha tub you can soak in al fresco. To give me a taste of the spa the Hyatt team recommended I experience their Citrus Drench body treatment which sounded intriguing. First I slipped out of my clothes, into a surprisingly comfy pair of disposable undies, and onto the massage table. Then my lovely therapist treated me to a delicious full body exfoliation to slough off all that rough old skin. Next I was covered from top to toe in a pure Vitamin C soufflé body mask, wrapped up and left to luxuriate in the warmth soaking into my skin and the tangy smell of mandarins. Finally I had a quick shower to rinse off the mask before being massaged firmly with some divine smelling cream which I was promised would increase collagen production and make my skin firmer. The body treatment lasted 90 minutes and I’m sad to admit that, being an A-type personality, I was worried about getting bored by having to lie still for so long. Yes, even the thought of having a massage can stress some people out. But what happened was that I almost immediately slipped into a deep state of relaxation, the kind of limbo between waking and sleeping where your mind drifts freely but nothing really gets processed. Bliss. This is the most popular facial at The Spa for a reason. While the energy boosting vitamin C fights environmental aggressions and signs of aging the citrus scents make you feel as if you’re wandering round Barcelona in Spain where the multi-award winning Natura Bissé products come from. At the end of the treatment it wasn’t just my skin that felt nourished and revitalized. This was a treat for body and soul. When you visit The Spa you’re welcome to stay as long as you like to enjoy their outdoor lap pool, saunas and spa. Or ask about their fitness classes including aquacise, yoga, pilates and tai chi if you want to relax in a vertical rather than horizontal position. If you’re staying at or visiting the Hyatt Regency Coolum be sure to treat yourself to a spa experience. The hotel has a kid’s club, which a friend told me her son wanted to go to every single day during their stay, and a golf course so you can park the rest of the family elsewhere while you slope off to the spa. It really shouldn’t be hard to relax should it? And it isn’t. Well, not at The Spa at The Coolum Hyatt anyway. What’s your ideal way to relax and be pampered? • 25% off all spa treatments and more. For full details about local spa membership check out the Hyatt Facebook page. Getting there: The Hyatt Regency Coolum is in Yaroomba about a five minute drive south of Coolum just off the David Low Way. It’s only 10 minutes from the Sunshine Coast Airport reached via a short flight from Sydney or Melbourne, 90 minutes by road from Brisbane and 20 minutes from Noosa. More information and bookings: The Spa is open each daily from 6.30am to 7pm. Click here to visit The Spa website or read more about spa treatments and packages in The Spa brochure. *I was a guest of The Spa and The Hyatt Regency Coolum. Update: Since writing this post the resort has gone into new ownership and is now the Coolum Golf and Spa Resort. Same place though and same great spa and facials. Sounds lovely Annabel, reminds me of something I wrote the other day (The Endgangerd Art of Doing Nothing) that as an ‘A’ type you may find somewhat challenging! Bloody hell, Annabel! Would you mind not posting posts like this on the days my husband flies out for a few weeks leaving me at home alone with the four boisterous bairns??!! I am going right now to check out the website, have heard such great things about the Hyatt Coolum and have never been there. Hubby will be away for a month right over Easter school holidays…. is it horrendously expensive?? Could he extract some extra oil to pay for it? PS Photo of bagpipe playing Teen on Mum’s Diet – stirs the heart just looking at the piccy! 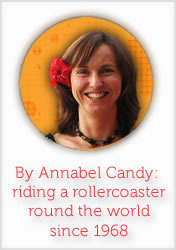 Sounds heavenly Annabel. We have many wonderful spas in Switzerland and it is definitely a must in today’s fast paced society. If only we could all regularly afford such luxurious pampering. What a gorgeous place for some ‘me’ time. I’ll definitely put it on my list for the next time we are over in Queensland. Oh my, I feel more relaxed just reading about it! I have never had a spa experience like that, but I do love a good massage. My best way to relax and feel pampered is to sit in my garden in the summer with a glass of iced tea and read while I watch the birds at the feeders. In the winter, transfer that scene indoors in front of the fireplace. With two kids and one grandkid still living under my roof, my special times are when everone is out of the house! My other special place is at my mountain cabin where I have no phone or internet or cable access. It’s only a little over an hour to get there, so I go at least once a month. Ahhhhh.